Sweetie-pie classics touched by Raina’s graphic magic. Pocket smiles! 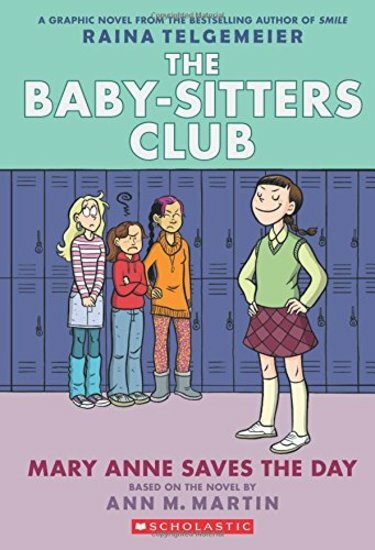 What’s even better than a Baby-Sitter’s Club story filled with fun and friendship? Four stories turned into graphic novels by cartoon queen Raina Telgemeier – author of Smile, Sisters and Drama. Do say OMG! The unthinkable has happened: your baby-sitting besties have quarreled. Now Mary Anne is stuck eating alone in the school cafeteria, trying to work out how to make new friends. But when a baby-sitting crisis hits, she decides that enough is enough. Okay: so they’ve fallen out. But now it’s time they all made up! GN350L Lexiles are the global standard in reading assessment. They are unique as they are able to measure a child and a book on the same scale – ensuring the right book gets to the right child at the right time.